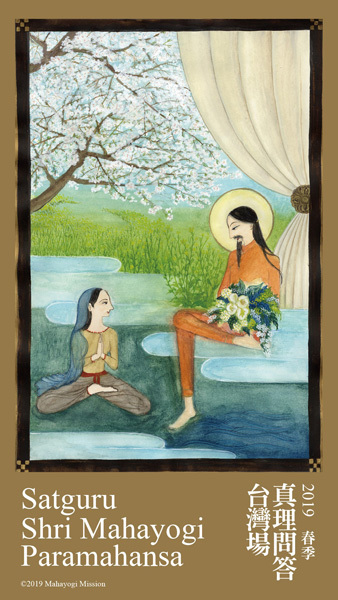 by Satguru Shri Mahayogi Paramahansa. Taipei, Taiwan April 16th – 24th, 2019! Shri Mahayogi will offer 3 Satsangha. 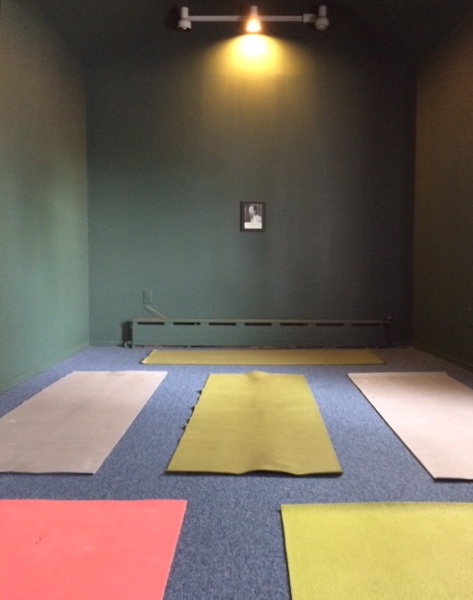 Asana & Meditation Class will now be held Sundays from 6-8pm at Still Mind Zendo. take the rare opportunity to ask him questions. Please see our eventbrite page for more info about the event fee, payable online by credit card through Friday 2/21, or at the door by cash or check. For attendees who have not pre-registered, for assistance with directions, or for any further questions please contact 828.243.1176 via text message. Please see our eventbrite page for more info about the event fee, payable online by credit card through Friday 2/1, or at the door by cash or check. Asana & Meditation Class will be canceled Wednesday 1/30 due to winter weather conditions. Please join us instead on Sunday for the Sadhana Program with Satguru Shri Mahayogi Paramahansa. It is with great enthusiasm that we welcome all Spanish speaking spiritual practitioners to participate in Satsangha and Yoga Sadhana Programs with Shri Mahayogi. For those of you who prefer or require interpretation in Spanish, we will be offering these services. at least 24 hours prior to the start of the event. Es con gran entusiasmo que les damos la bienvenida a todos los practicantes espirituales de habla hispana en los programas de Satsangha y Yoga Sadhana de Shri Mahayogi. Para aquellos que prefieran o requieran interpretación en español, ofrecemos estos servicios. con un mínimo de 24 horas de anticipación al evento. to Visit New York January 2019! Start the new year learning, practicing and experiencing the teachings of Yoga under the direct guidance of living Master Satguru Shri Mahaygoi Paramahansa. Programs begin January 20. The Sunday Sadhana Program directed by Shri Mahayogi will now be held from 3-5pm at Still Mind Zendo, instead of our regularly scheduled 7-9pm Sunday class. New Location for Saturday Class! Saturday Asana & Meditation class will now be held in Astoria. On this day we express our profound gratitude and honor the grace of Shri Mahayogi’s divine existence in this world, which touches and transforms the hearts of seekers far and wide. We invite you to take the opportunity of this most Holy Day to reflect on the great Mission of Shri Mahayogi, which is to establish Sanatana Dharma in the modern day, so that not only present-day seekers may taste the sweet nectar of Truth, but those of all generations to come. To honor Shri Mahayogi's existence in the world, Mahayogi Yoga Mission will accept Jayanti offerings. These monetary offerings are expressions of gratitude for the most pristine Truth which is recognized and experienced through the Master. They also represent the sincere and selfless wish that others may be blessed by Shri Mahayogi now or in the future. A new 3-class introductory program is being offered in Astoria! The program will focus on providing an introduction and foundation to what Yoga is, as well as the practices of asana and meditation. Will Visit NY Summer 2018! This summer, learn, study and experience the universal teachings of the Truth under the direct guidance of a living Master!! Programs, including practice of Asana and Meditation directed by Shri Mahayogi (Sundays 7-9pm), will begin June 17th and continue through September 9th. 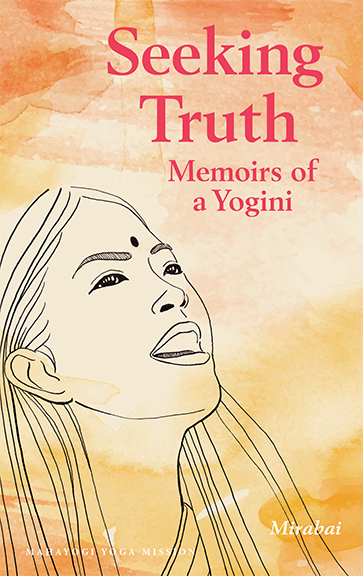 is a non-fiction account of a seeker who embarked on a quest to find the purpose of life, then met a Yogi, and came to experience the Truth firsthand. or subscribe for the first time! 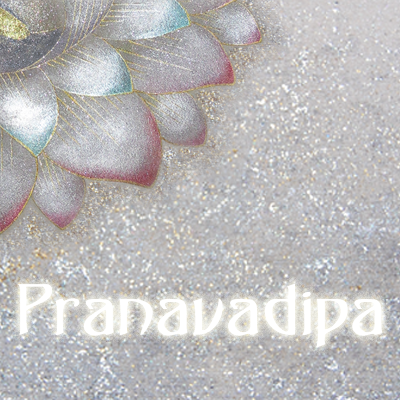 what Pranavadipa has to offer! during our regularly scheduled Asana and Meditation class this Wednesday. In addition to an abbreviated asana practice, we will meditate together for one hour. We invite you to attend and celebrate with us the divine existence of the Master. If mailing a check, please notify Mahayogi Yoga Mission in advance. Space is limited. Please make a reservation. 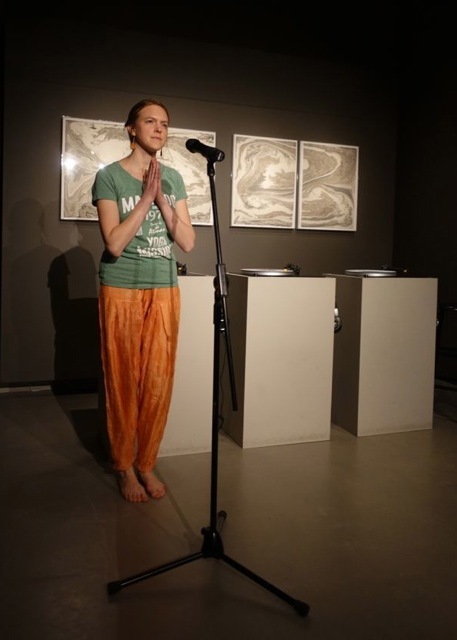 Mahayogi Yoga Mission was invited to present at an evening event at the Rubin Museum of Art. Experience Stillness. Journey back towards your own Pure Existence. Practice of Asana and Meditation directed by Shri Mahayogi will begin June 11th and continue through August 6th!! Sundays 7-9pm at Still Mind Zendo. 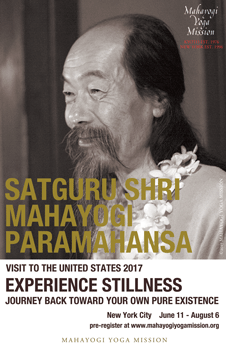 Don’t miss this rare and exceptional opportunity to experience and learn from a living Master the true essence of Yoga! after he experienced Nirvikalpa Samadhi at the age of 8. Everything he teaches is based on his own direct experience. Already a subscriber? Login from here. Please check our blog for info. The trailer of the DVD "In The Cave With The Master"
the Mahayogi Yoga Mission. Read more about making a contribution.